From a young age, Gun has trained in the way of Anderson Arms. He learns to manipulate, steal, blackmail, and kill—whatever it takes to accomplish the mission set by his father. But Gun despises the work he does and the wreckage it leaves behind. His newest assignment is to befriend a Virtual High student and infiltrate Global Arms. His target is Sulan Hom, the daughter of a renowned Global scientist. Gun approaches the mission with detached coldness, the same method he uses for every assignment. But it isn’t long before he finds a budding friendship with Sulan. The more time he spends with her, the more he begins to care for her. Soon, Gun avows that Sulan will not become one more mission casualty. The more he delves into Global Arms, the more Gun realizes the true danger that awaits Sulan. Determined to keep her safe, Gun works behind the scenes to protect her. Will it be enough to keep Sulan safe? And will he ever be able to win her trust after deceiving her? 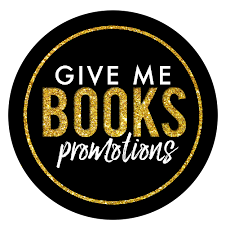 Only 99¢ during pre- order! 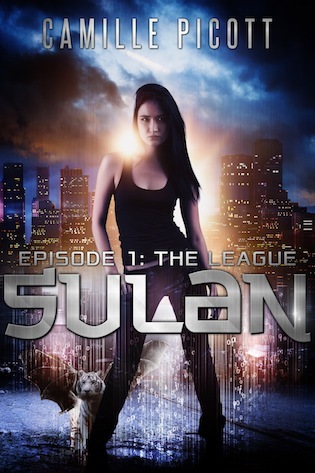 Sign up for Author Camille Picott’s Newsletter and get a free copy of Sulan, Episode 1: The League! Camille Picott is a fifth-generation Chinese American. 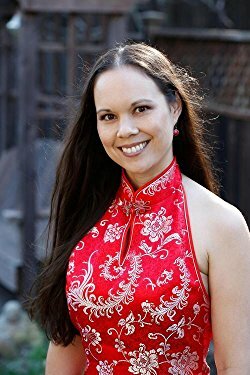 She writes science fiction and fantasy books with Asian characters and/or Asian settings. Camille grew up reading speculative fiction stories largely devoid of Asian characters and culture. This, coupled with a passion for her heritage, is the reason she strives to bring some aspect of Eastern myth, legend, culture, and ethnicity to all of her writings.